It's all about mommy wars this week. That's what caught my attention. 1. The mommy wars show no sign of dissipating despite the progress we have made as women and moms in society. Sometimes I think they are getting worse. 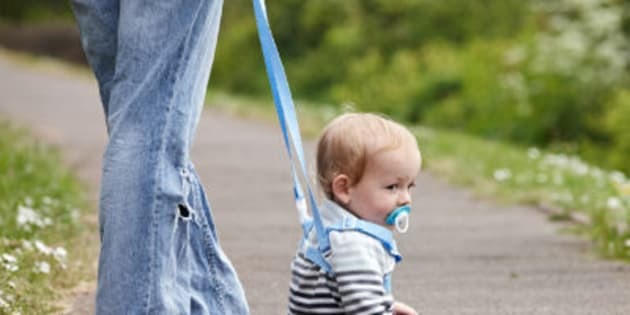 Topics range from working moms versus SAHMs, co-sleeping, home schooling, circumcision and breast feeding, but this weeks' flavour was one that came up in an article posted by Today's Parent Magazine about using a child leash. It sparked quite a bit of debate in the mommy world. I was amazed at how many moms judged others for their choices. The reality is that nobody knows what it is like to parent another person's children. Some kids are runners, some have short attention spans and some don't really do anything but sit still (I'm not familiar with that brand of kids myself but have witnessed it). If I have learned anything in my 16 years as a parent, it's that every child is different and not every tactic or strategy works for all children. Parenting is tough--you'll need extra help from time to time. 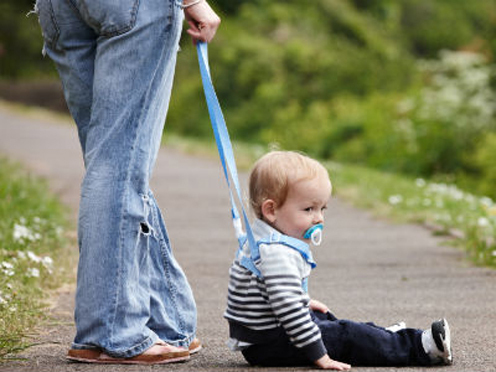 If using a leash is the help you need in a crowded airport or public place because you have a wanderer, then so be it. Don't judge until you have walked in the shoes of the other mom. She could probably use your support instead. 2. While we're on the topic of mommy wars, I thought it might be a good time to resurrect this article that was published in early June from The Globe and Mail. The good news is that, according to the study, kids of working moms are just as successful as those of stay-at-home mothers. This should help eradicate the guilt all working moms are plagued with (and don't pretend you don't feel it). But I was still surprised at the title--aren't we past this? Do working moms still feel the need for validation on this? More importantly, is this article driving a bigger wedge between the two camps? I hope not. I still firmly believe that moms need to do what makes them happy, which, in turn, will make the kids happy. There is no golden rule or set answer for everyone. 3. Swirling around the mommy wars is the amount of ridiculous advice provided to us by celebrities who claim to be aspirational (Gwyneth, I'm talking to you). From Babble, I give you The 7 Most Ridiculous Pieces of Parenting Advice from Gwyneth Paltrow. Call your personal chef/nutritionist and get off the gluten. Your personal trainer is on his way! 4. Apparently wedding etiquette went viral through social media this week. I couldn't help but notice. A bride reportedly sent a text to guests at her wedding the next day requesting a receipt for the gift basket filled with candy which was one of her wedding gifts. Clearly she was not thrilled with the gift and you can find out more about it here. As shocking as the story is, I find it amazing that it has become headline news. Is this even newsworthy? It's definitely entertaining--read the details. And buy a good gift for your next wedding. 5. Finally, I can't sign off without mentioning my horror and sadness about the devastation in Alberta this past week. We are doing what we can to support the Red Cross to raise funds in support of the relief efforts. But as a mom, I know that all the families in Calgary are still at home with young kids who need to get away from the screens and play. This post from one of our Savvy Storytellers provides families with information about what they can do and where they can go with the kids. Because, as everyone knows, when it comes to children, the show must go on.